Another Kickstarter success, Hover: Revolt of Gamers will be headed to the Xbox One at some point in the future. Currently, the game is available on Steam Early Access where it's still working on fixing bugs and getting to a more complete state. What is Hover: Revolt of Gamers? Well, from all the screens and video, it appears to be a mix of Jet Set Radio and Mirror's Edge. Players will be allowed to freely traverse environments in first or third-person view as they attempt to overthrow a regime that has outlawed entertainment and video games. You'll be able to do so on your own or team up with friends at any time. The developers have been working diligently on the game since it hit Early Access last April, and the game recently received a new update and playable area this past month. No doubt once the game is finished on PC, the Xbox One version won't be too far behind. 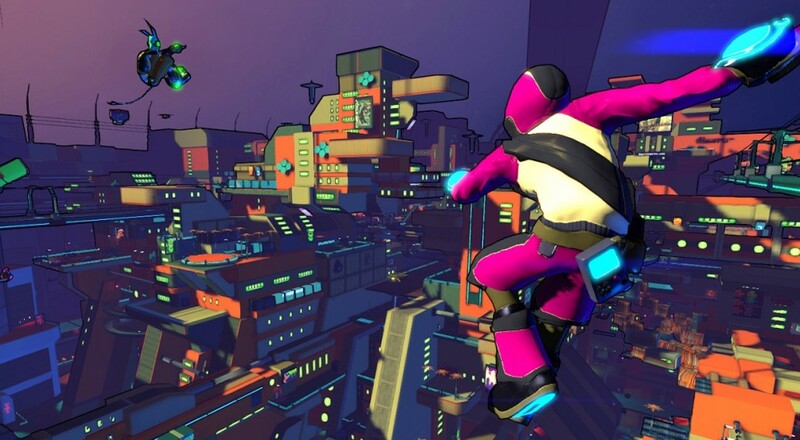 Hover: Revolt of Gamers is available on Steam Early Access for $19.99.